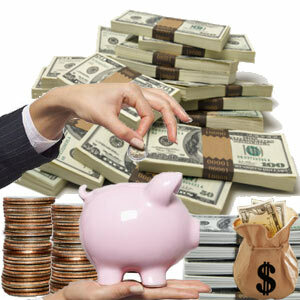 One of the best ways to save money, is by putting your savings into a savings account and then not touching it. Other people have funds deducted from their paycheck and deposited directly into a savings account, 401k retirement account etc. But we want to talk about another way of saving for rainy days and emergency funds. For example take all of the change in your pocket at the end of the day and throw it into a jar. How much money would you have at the end of the week? Another approach is to just place $5 in an envelope or jar each day. At the end of one week you will have $35 to spend on dinner or just keep it and let it build until you need it.Would you miss the $5 or the change from your pocket? Probably not and that is really the message. Pick a number that you know you will not miss and make a habit of saving that money each day. At the end of the month put it in your savings account so that you will not be tempted to use it. A friend of ours uses this approach to save money for his vacation. Both he and his wife throw their spare change into a large glass jar with a sealed top. When vacation time comes along, they break open the jar count their money to see how much they have. Sometimes they will have as much as $1000 towards their vacation. With electronic banking and automated payments, consumers can set up auto payments as a means of putting your savings into a savings account with no effort at all. It takes 5 minutes to set up the automated electronic transfer into your account and your done. The bank will look after the transfer every month or whatever period you choose, depending on what you afford. All you need to do is make sure there are sufficient funds in your account to cover the transfer. It is that easy.